Need to organise a conference or other business orientated event? 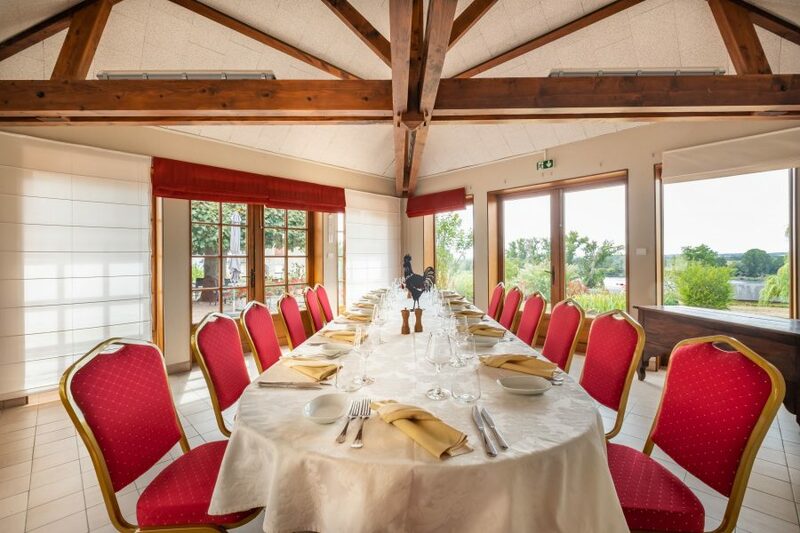 At Coq Hardi hotel we have a pergola for hosting business meetings. This venue is located in the heart of the hotel gardens. It can accommodate up to 25 people and is equipped with a screen, flipchart, wifi connection and an overhead projector. We are sure that views of the riverbanks of the Loire and the magical setting will inspire and motivate your team members to give the very best of themselves. If you need to organise a larger scale event you can have private use of the hotel plus a marquee. We also provide a residential conference package. We can accommodate guests in our charming hotel – a short 2 hour journey from Paris to the vineyards of Burgundy. The perfect opportunity for you to thank your employees for their good work. After a trip to a truffle market in the morning, enjoy a four hands, Burgundy truffle based meal by Jean-Barnabet, a former Auxerre restaurant owner. Contact us by telephone on +33 (0)3 86 39 12 99 or drop us a line at contact@lecoqhardi.fr. It would be our pleasure to help make your Big Day extra special and adapt our offer to your needs.